The recent tragic deaths due to suicide of Kate Spade and Anthony Bourdain are just that...tragic. I know the news and stories about these things are everywhere right now, but we need to keep talking about it. I'm not sure if you've seen this woman's Facebook post about Kate Spade, but she mentions how society has made it okay to talk about breasts and testicles (related to cancer) but not the mind and the chemicals and hormones released and how it's all processed. It's normal these days to overlook depression and anxiety or to tell people "to just calm down" or to smile and push their illness aside. We don't look at these things as illnesses, but as attitudes or issues and that is not okay. Let's talk about it. You can overcome depression, but it can also still be a daily thing that you have to face and deal with. Looking in the mirror and changing your attitude isn't that simple when it comes to these illnesses. They overcome you and take over the current state of mind that you are in. I personally deal with anxiety and am on medication for it. I've never tried counseling, and I think in some ways it may be beneficial. You don't know until you try, right?! I had a post drafted back in January for the blog, that I recently deleted. It was about thoughts I was having at the time and opening up to share them to you. I didn't publish it because I was embarrassed, but anxiety isn't anything to be ashamed of. I still get these thoughts, but only occasionally opposed to how they were taking over my mind. I'm not a professional in this field, but based on my thoughts and feelings and actions I believe this is a case relating to my anxiety. 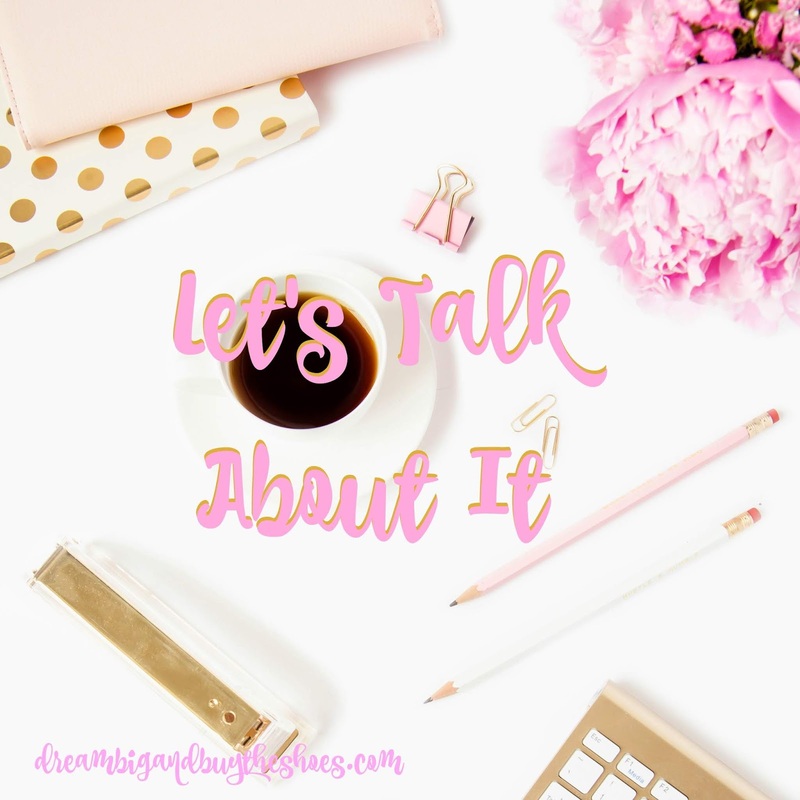 Thoughts of me dying and not getting time to see my children grow up takes over my mind sometimes and it got to the point of me being so sick that I couldn't move. When I was on maternity leave and had the time to sit around, I would hold Bella for as long as she would let me crying, sobbing and making myself hysterical. I'm sure that this is due to my own Mom passing away at 43- I'm 9 years that and it's terrifying. It's so important to savor every second of life and enjoy each day, because you don't know what tomorrow brings. This also means taking care of yourself. My friend Lindsay talked about this and she's so right. Self care is more than bubble baths and pedicures. It's digging down deep inside and listening to what your own body and mind need. I'm so guilty of juggling way too much at times, and there are days when it takes a seriously long conversation with myself to not touch the mess or do laundry. Just be. We all have things that we struggle with- LET'S TALK ABOUT IT. Don't push your feelings to the side. Don't feel embarrassed. We are there to celebrate the good times and double tap the button on Instagram, let's be there for each other and talk about these important issues. Check on your friends, but also check on yourself. One day at a time. Thank you for listening. Thank you for showing up to read what I have to say. Thank you for letting me get these things out of my head. I once again am way behind on blog comments, but that doesn't mean I don't appreciate each and every one of you that take the time out of your day to be here and share your thoughts. Have a great day friends, Xo!